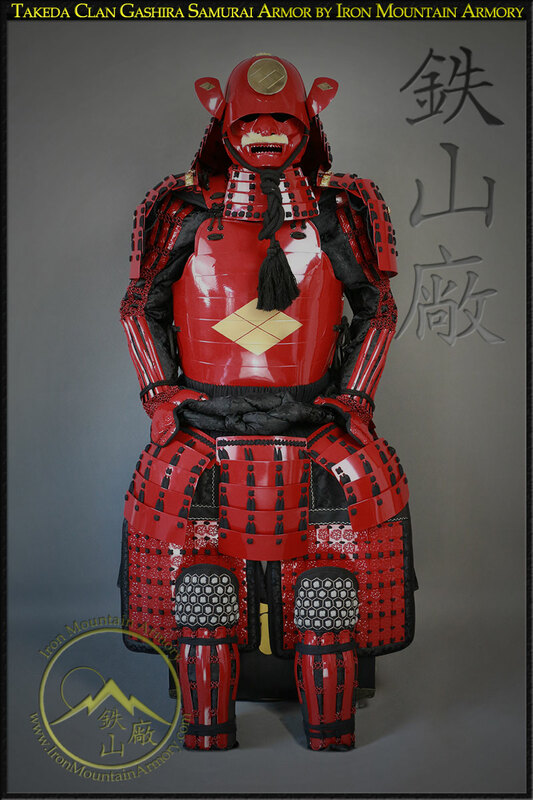 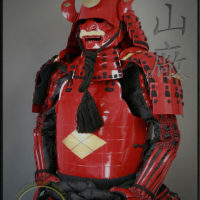 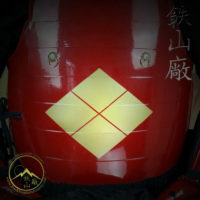 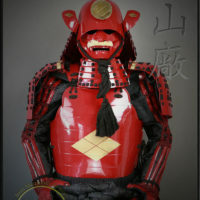 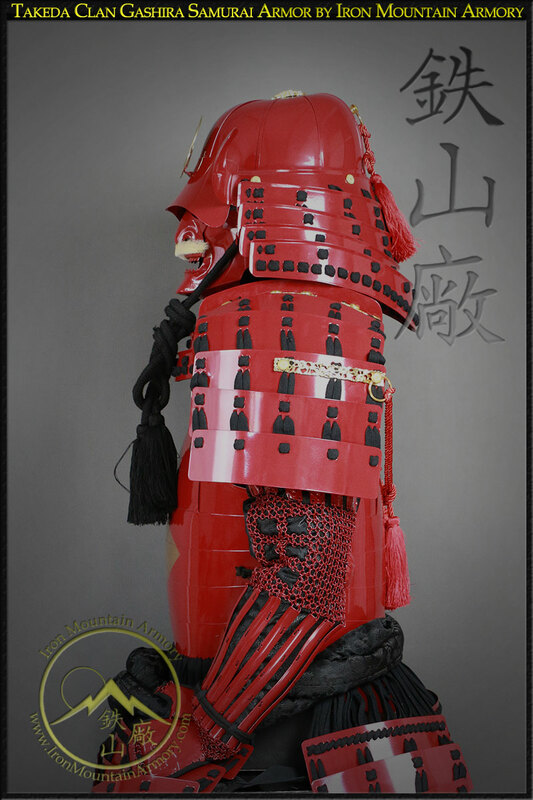 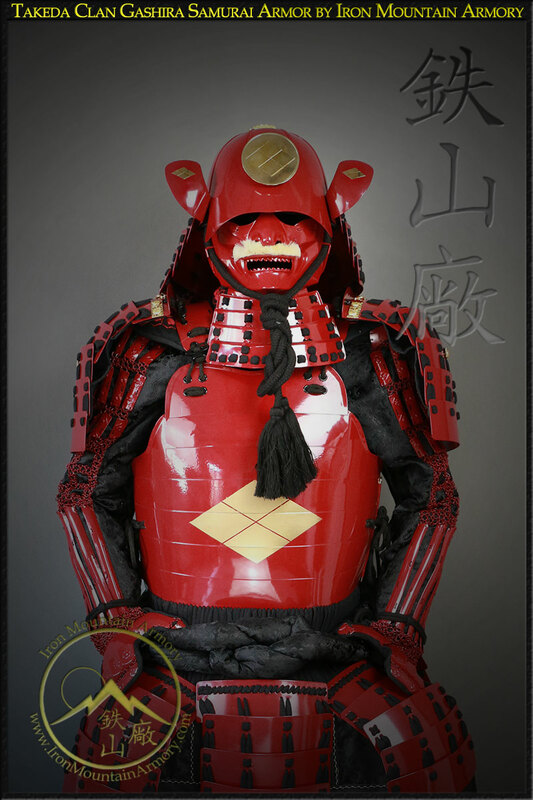 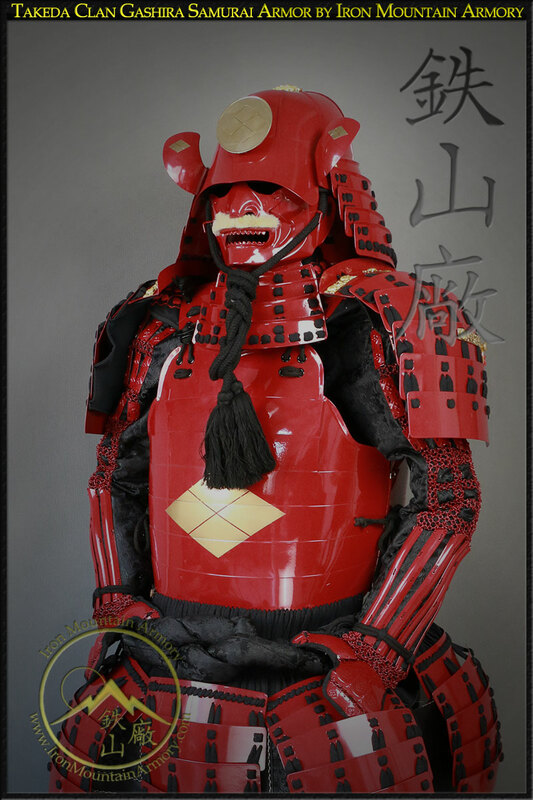 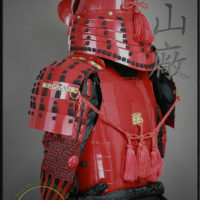 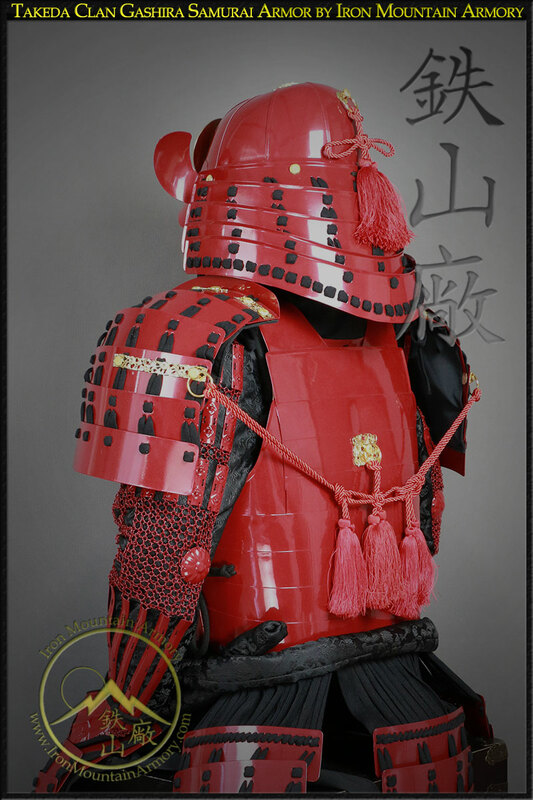 This Gashira Class suit of armor is premade, as seen, in Vermilion Paint with Black Lacing, and comes complete with a Yoroi Bitsu, to store and display your armor proudly. 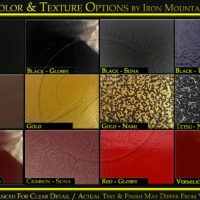 Former Display Model – As New – Sold As Seen. 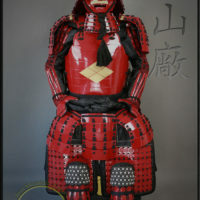 The Takeda Clan played a major part in the history of Japan during the end of the Sengoku Era (warring states period). 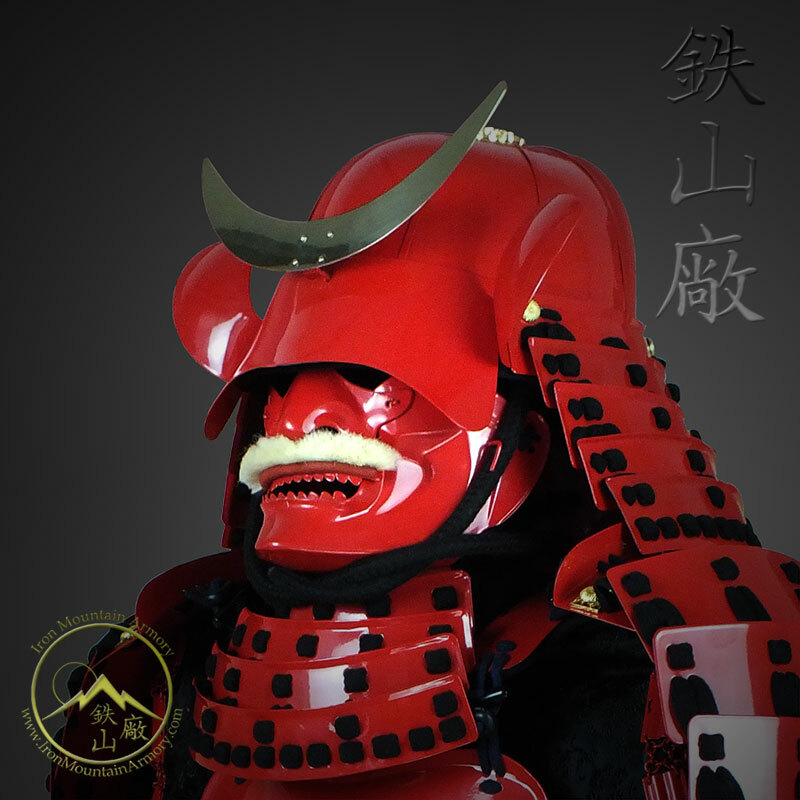 It was formed in the 12th century as Daimyo of Kai Province. 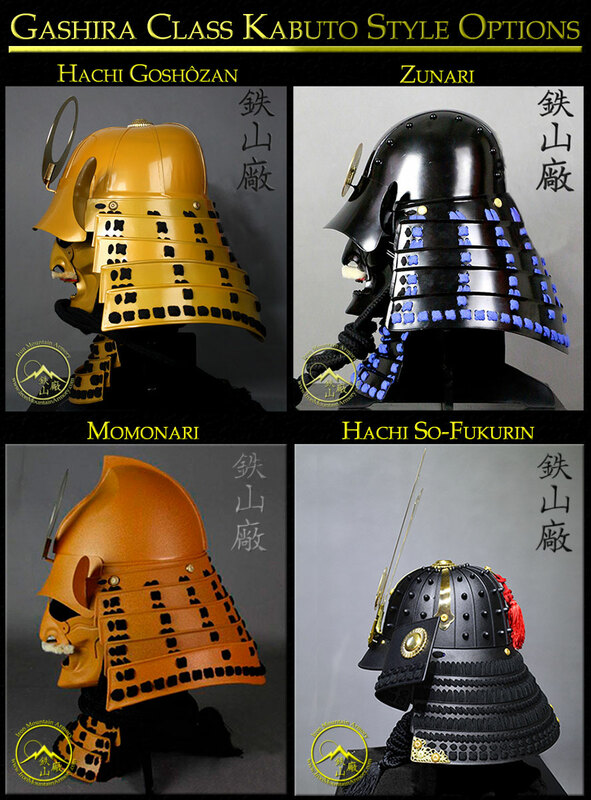 Their power and influence grew over the years by defeating all rival warlords who challenged their right to rule. 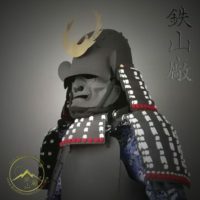 By mid-16th century, Daimyo Takeda Shingen had defeated all the opposition, and raised the clan to the height of their power while securing their rule. 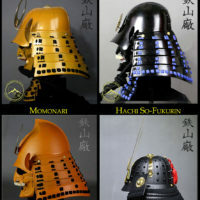 They would also later become one of the major warring Daimyo in Japan. 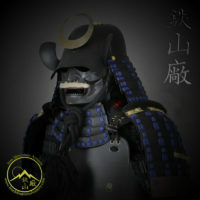 History has noted Takeda Clan as being honorable. 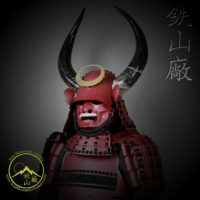 The clan would become known as the kiba gundan (騎馬軍団) or ‘mounted army’. 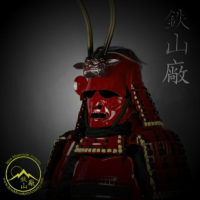 Up until the mid-16th century and Shingen’s rise to power, his mounted samurai were primarily archers. 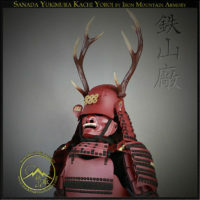 In order to defeat these missile troops, Shingen transformed his samurai from yabusame (archers) to mounted yari (lancers). 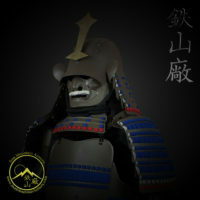 The Takeda Clan expanded to the southwest. 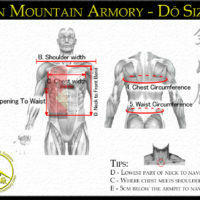 They then over extended their reach. 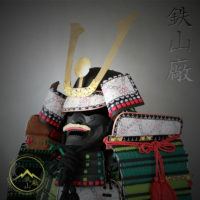 As a result, they came into conflict with Daimyo Oda Nobunaga and Tokugawa Ieyasu, who successfully crushed the Takeda Clan’s forces, killing many of their Taisho samurai. 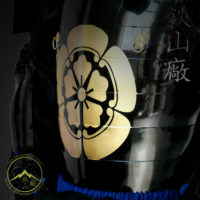 Soon after, the clan became the retainers of Daimyo Tokugawa. 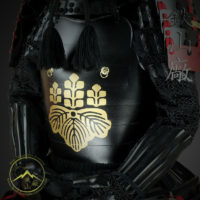 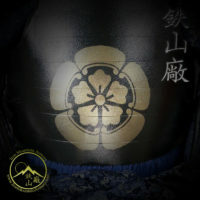 This yoroi is crafted with a traditional “Tosei Yokohagi Okegawa Ni-Mai Do” (Two Section Cuirass with Horizontal Plating Joined by a Pin Hinge). 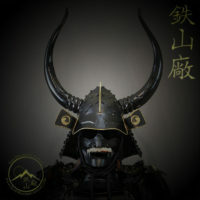 The kabuto (helmet) is a gashira class hari-bachi goshôzan kabuto. 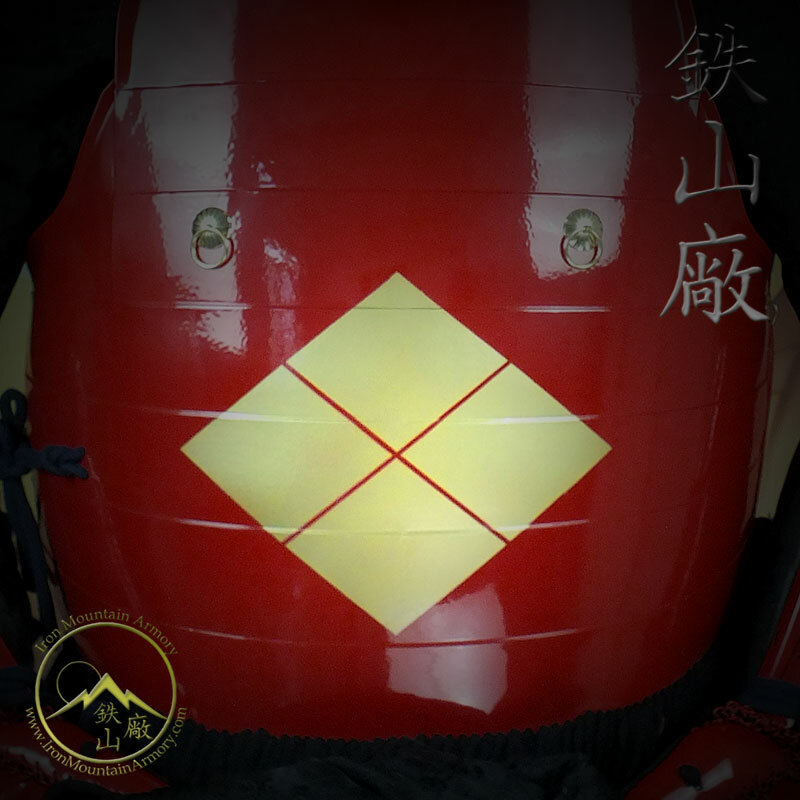 The Takeda Mon (clan crest), is painted onto the chest to show the samurai’s allegiance to the Takeda Clan. 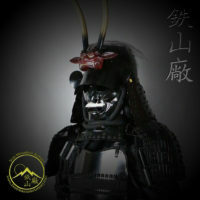 This mon will also be attached to the fukigaeshi (ears of the helmet) and on the display box (also included). 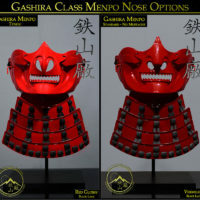 The helmet, mask and shin armor style, can be changed upon your request, via the Extra Options. 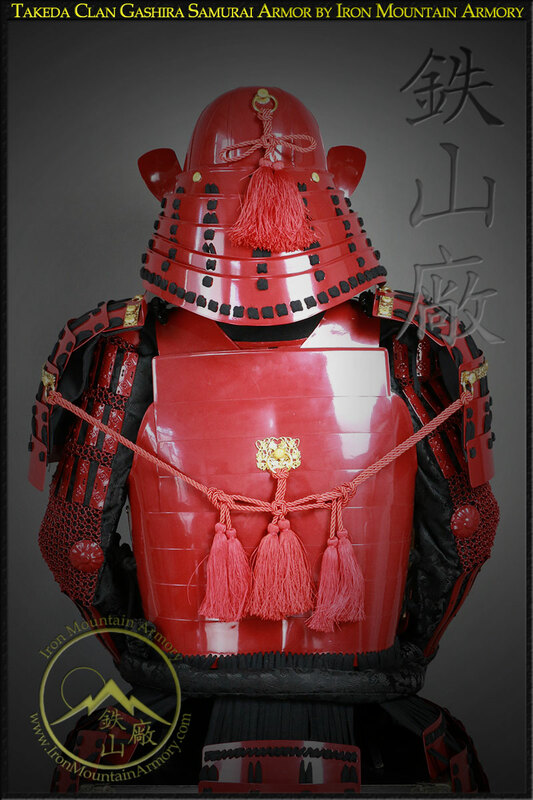 Traditionally, Takeda Clan samurai wore vermilion armor. 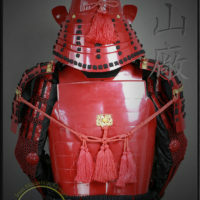 We are offering this yoroi set in our own red paint options to honor them. 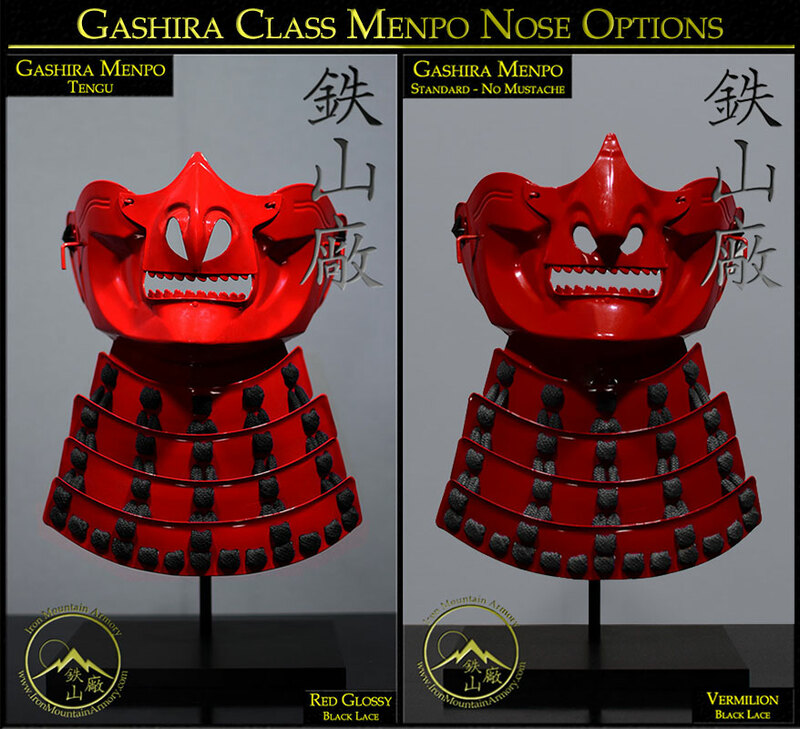 Features: This yoroi features Gashira Class quality crafting. 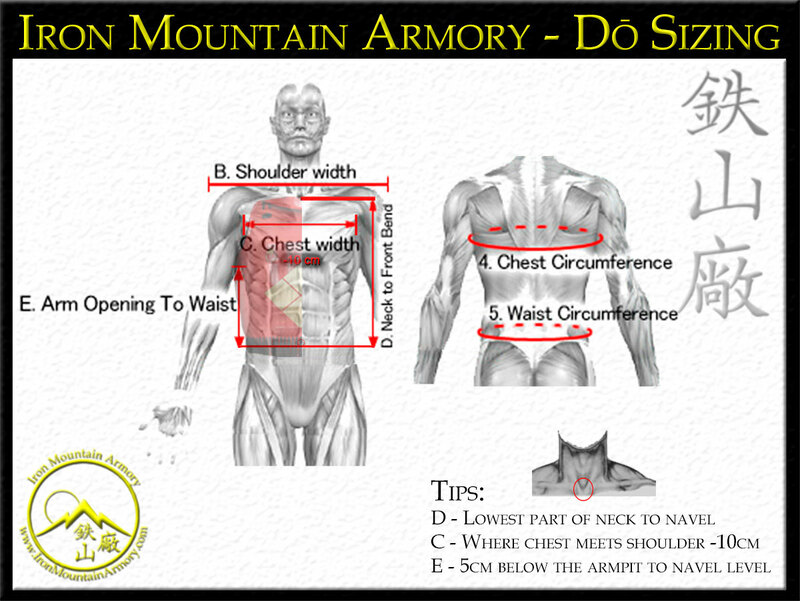 Custom sizing and other options are available. 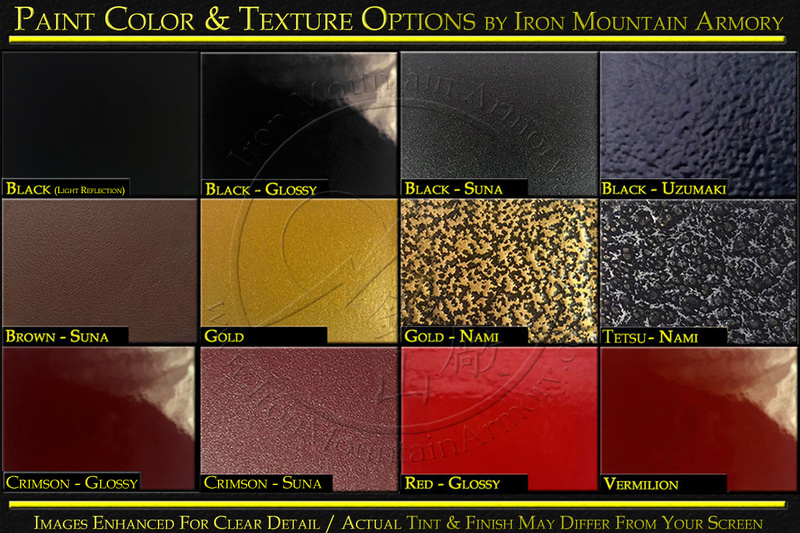 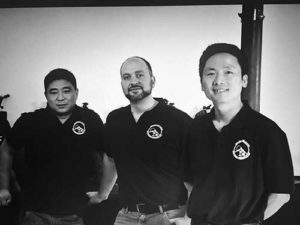 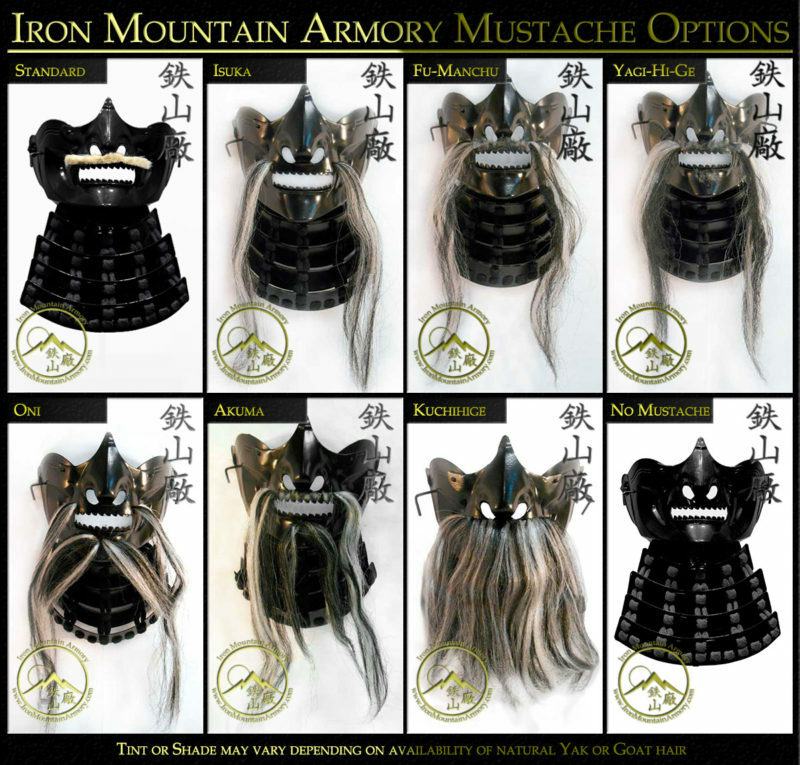 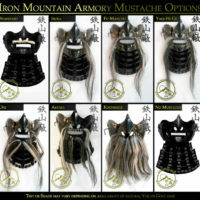 Our skilled katchû-shi at Iron Mountain Armory will begin to handcraft this product at the time of your order. 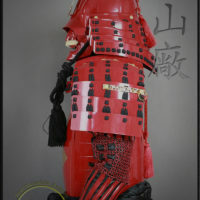 Please allow 4 to 5 weeks for the crafting of this item.